Today, we are cooking with Sunchokes! A few weeks ago, I came across these nubby looking roots at the Market, which at first I thought were ginger, but after further investigation found out were Sunchokes. Sunchokes, also known as Jerusalem artichokes, are the root of a plant in the Sunflower family. Oddly, they are neither originated from Jerusalem nor an artichoke, so I prefer to call them Sunchokes. These little tubers store a lot of inulin (not insulin), which is a great source of fiber. But be careful not to over-do-it on the 'chokes since inulin can cause gas and bloat. Hey, just being real here! Sunchokes have a similar consistency to a potato when raw, but have a much nuttier and sweeter flavor when cooked. According to the Farmer, these tubers have a short season in NC, so I have been trying to get some every week while I can. For such an ugly little vegetable, they sure do pack a nutrient punch, full of not just inulin and fiber, but also potassium and iron. 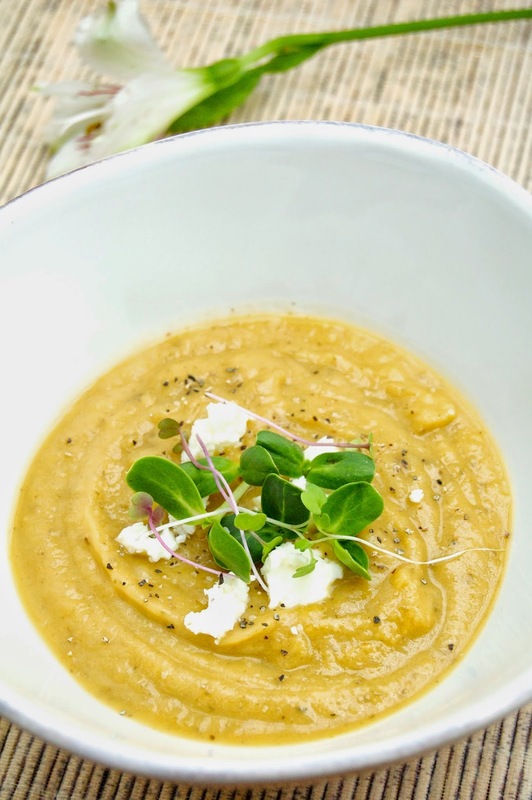 I really enjoyed taking these little vitamin-filled veggies and coming up with a soup recipe. 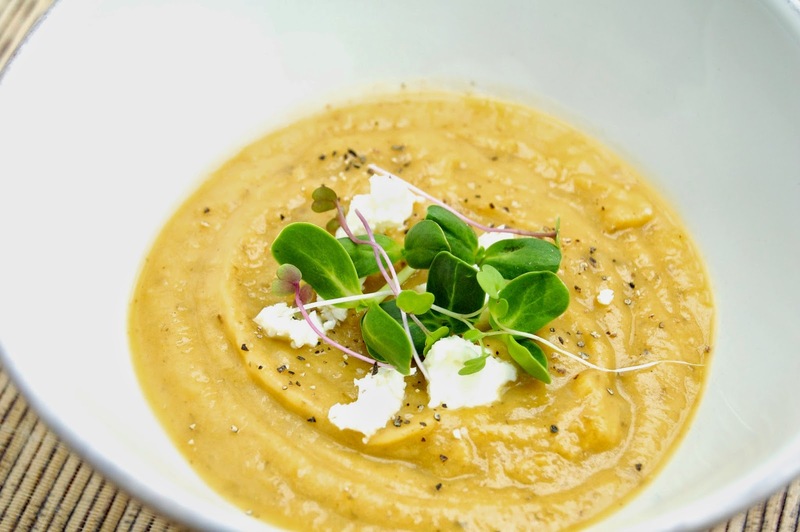 I am a big fan of vegetable soups, especially with all of the winter vegetables since I have a harder time digesting them. However, I also tried pan roasting the Sunchokes with some butter and thyme and they were delicious! Here is a good recipe for roasting the 'chokes on Bon Appetit. 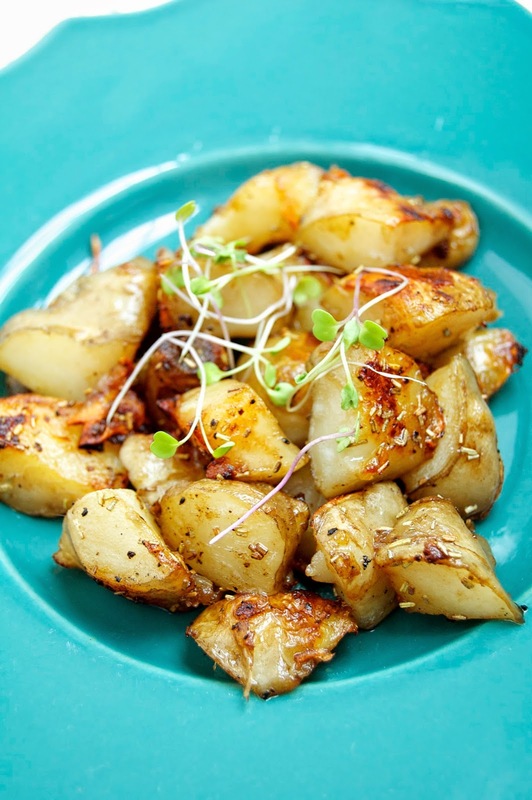 In a large bowl, toss the sunchokes, onion and garlic with the oil, thyme and salt and lay out on the baking sheet. Roast the vegetables for 20 minutes, tossing a few times. While the vegetables roast, melt the butter in a large, thick-bottomed soup pot. Saute the shallots, stirring constantly until they are golden and caramelized. Add in the vegetable broth and almond milk, scrapping any bits at the bottom of the pan. Once the broth/milk mixture comes to a boil, add in the roasted vegetables and cook on medium heat for 5 minutes. Puree the soup mixture with either an immersion blender or standing blender in batches. Serve the soup with fresh herbs and crumbled cheese.